Meet Evan Vergogna, the new suitor of Ms Pastillas, who recently appeared on It’s Showtime’s matchmaking segment called TwitterSerye. Evan Vergogna finally appeared on It’s Showtime’s new segment called TwitterSerye on Thursday, September 17, 2015. The 22-year-old aspirant from Sta. 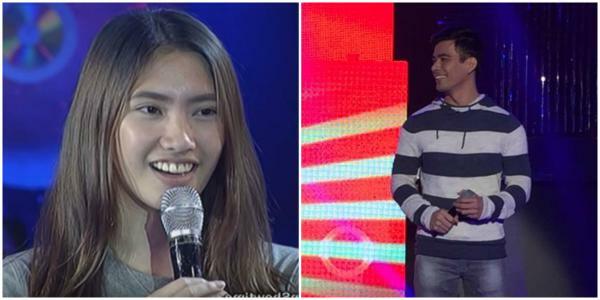 Rosa Laguna was one of the netizens who wish to meet Angelica Jane Yap aka Pastillas Girl. On Wednesday, Vergogna got the invitation from Vice Ganda to got to the studio after he publicly professed his intention to meet Pastillas Girl. Two other aspirants Jess Verano Senido from Bacolod and Topher from Bulacan have met Pastillas Girl earlier this week. What can you say about Evan Vergogna? Are you Team Topher, Team Jess or Team Evan? Who’s your bet? Discuss on the comment section below!